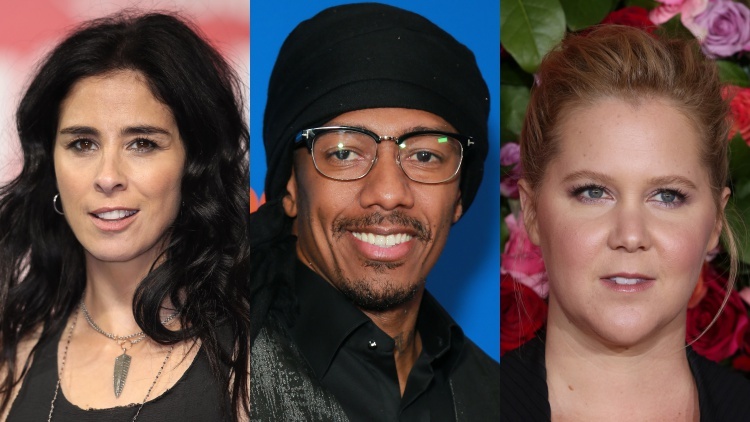 Should Sarah Silverman, Amy Schumer and Chelsea Handler be judged as harshly as Kevin Hart? Imagine being so homophobic you refuse to apologize for your own homophobic tweets and lose the gig you’ve dreamed about your entire career — can’t relate! But that’s exactly what happened to Kevin Hart, and while most of the Internet is focused on finding his replacement, there are many who are upset about Hart being pushed out of the Oscars. Case in point: the former Mr. Mariah Carey, Nick Cannon felt that the scandal around Hart was hypocritical. Cannon put on his social justice warrior hat and did some digging of his own, finding questionable tweets from Amy Schumer, Chelsea Handler and Sarah Silverman. But that’s the problem with comedians like Hart and Cannon. When things they perceive as “true” don’t make people laugh, they assume no one has a sense of humor. What they perceive as “political correctness” is actually an effort to denormalize violent hate speech. It’s worth noting that Cannon didn’t pull up the old tweets of any other male comedians, how interesting. Does the fact that Handler, Silverman and Schumer have used their platforms to champion queer causes make them less culpable than Hart for the same behavior? Maybe. But whether or not they’re “cancelled” too will come down to how they chose to respond. Kevin Hart refusing to apologize — even though he claims to have apologized once before — was the final nail in his coffin, and it could be for these women as well. The reality is that 2010 was not 2018. A lot of your faves probably thought it was fine to make light-hearted gay jokes and probably easily got away with it — until now. While their homophobic past should color the way we think about them now, we need to look at the context of what they said and what they’ve done to make it right. Sure, it’s great that Sarah Silverman shared a thread defending herself, but she hasn’t actually apologized, and Handler and Schumer have both stayed silent. If they don’t attempt to make it right? Well...bye!